It isn’t always an option to go to the gym, but that doesn’t mean you have to miss out on your workout. This ultimate no equipment workout shows you how you can do some great full body exercises without needing any gym equipment. Did you know that half of all people who have quit a gym have said that money was the primary factor in their decision? The good news is that you don’t need gym equipment to get a full body workout! 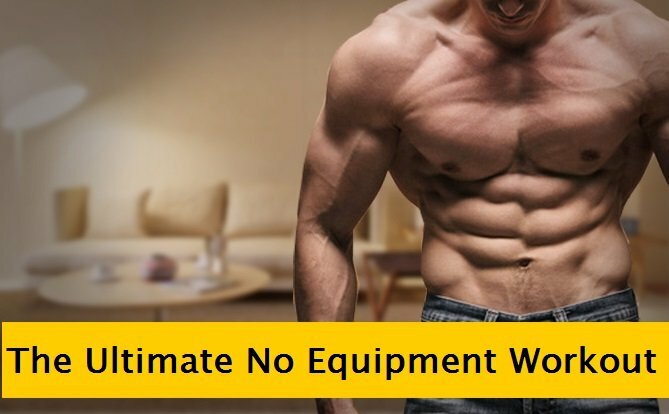 This ultimate no equipment workout infographic explores some simple ways in which you can get a toned and fit physique without going to the gym! Below is a more detailed infographic provided by SuplementMart with the best exercises you can do at home for a full body transformation. Don’t forget to share this ultimate no equipment workout with your friends in need. Stay fit!